Ashwin is an Engineer from IIT Roorkee, MBA (Finance) from NMIMS, Mumbai and trained in Marketing from XLRI, Jamshedpur. Entrepreneur and trainer with over 20 years of experience, he is business mentor at IIM-Ahmedabad’s CIIE, faculty at several management institutes and consultant in the field of learning and development having touched and inspired thousands of lives. 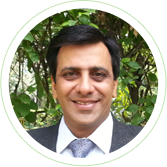 Ashwin is a highly effective motivational speaker and corporate team building coach. He is an avid musician, cyclist and charity rider for social work NGO Aarohi. 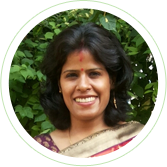 Usha is an MBA in systems and marketing after graduating in economics. She is a corporate coach and trainer. Usha has an illustrious career in the banking industry excelling in delivering projects and training in Vision Plus. Her innate training and communication skills makes her a highly effective Vision Plus trainer and consultant. Usha is also a trained corporate coach to middle & top levels fostering individual growth and talent maximising. As a highly gifted and certified life skills coach, she conducts training for change management, project management, talent identification, building high performing teams and stress management, along with specially customised workshops for women focused issues such as confidence building and enhancing performance. An ultra marathon runner and ultra cyclist, Usha is associated with a number of social causes such as women empowerment, breast cancer awareness and is also charity rider for Aarohi.